Having a blog is hard work. That is, if you want to ensure that you meet a certain degree of success. And when it comes to success, it means that you want to get all the traffic that you can possibly get for your blog. A million articles have been written about how to get traffic to your blog, how to get exposure to your blog. At the end of the day, you simply have to do certain things to gain maximum exposure. One way to do this is to sign up for blog directories, which can showcase your blog to the rest of the world. There are several advantages to signing up for blog directories. People who may otherwise never know that your blog exists can discover you. People visit blog directories for a reason: to find blogs that are pertinent to their interests. Whether you have a tech blog, a food blog, or a personal journal, a blog directory can help you in reaching out to your target audience. You get a backlink to your blog. We all know just how important gaining links to your blog is. The thing is, you need to make sure that the links you get are from reputable sites. You can’t just keep collecting links left and right. That can actually be detrimental. With a reputable blog directory, you can gain maximum benefit. These two things – and more – you can gain from a subscription to Blog Search Engine, one of the oldest and most reputable blog directories today. The site has recently undergone a redesign. They are also offering new packages, which range from Basic to Platinum. Basically, with a Blog Search Engine subscription, you get a full description of your blog and a backlink from a PR 6 site. For the higher packages, you get more perks such as links from sister sites, more in-depth reviews, as well as featured listings. 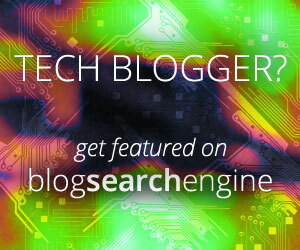 Signing up for Blog Search Engine is so simple. All that you need is to click on the “Get Featured” button. Signing up will require you to enter your blog details and send the payment via your PayPal, and all this will only take a minute or two of your time! What’s that compared to long-term benefits? They are also running a contest for the launch period, where the winner will get a free platinum membership! That’s a $99.99 prize, so what are you waiting for?